Virginia DUI lawyer Jon Katz recognizes the real jail, employment, security clearance, lifestyle and reputational risks posed by DWI/DUI charges, and defends these and all other criminal cases to the hilt. Virginia DUI defense accounts for a substantial portion of Jon’s law practice. In 2000, federal highway legislation shoved mandatory criminalization of a 0.08 blood alcohol level down the states’ throats under the penalty of otherwise losing federal highway funding. A 0.08 blood alcohol level is easy to reach, making it safest not to driver for at least many hours after having consumed alcohol. Do not take a Virginia DUI stop, arrest, or prosecution lying down. Too much is at stake if convicted of Viriginia DUI, including potential jail, loss of driving privileges, and increased car insurance costs. Virginia DUI convictions harm people’s reputations; can set back non-U.S. citizens, to say the least; and can threaten security clearances, employment with the military, and health care licenses. 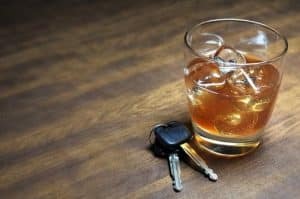 The best defense against Virginia DUI charges starts with not getting behind the wheel less than 24 hours after consuming alcohol. Short of that, if you feel any effects of alcohol, stay away from the wheel; unfortunately, plenty of people with a 0.08 or higher blood alcohol content do not feel the effects of alcohol to know to stay away from the wheel. Also, it is important not to drive with defective equipment nor to violate any moving violation laws; to do otherwise gives police a free pass to stop and investigate even otherwise innocent drivers and passengers for a whole host of crimes going even beyond DUI. If the police stop you while driving, remember the importance of maintaining your right to remain silent under the Fifth Amendment, and to refuse field sobriety tests and the handheld/roadside preliminary breath test (versus risking a refusal charge for declining breath or blood testing (only for civil charges for blood testing) after arrest). Even though Virginia caselaw allows judges and juries to know when a defendant has refused field sobriety tests, even plenty of stone sober people can perform poorly on such tests both because few people practice standing on one leg with the foot in front of the body for thirty seconds, walking heel-to-toe out and back, counting backwards in the presence of a police officer, and reciting but a portion of the alphabet, to mention some common field sobriety tests. A tough question is whether to agree to submit to a post-arrest breath test at the jail or police station, or to a blood test when asked to submit to such a test. In Virginia, refusing a post-arrest breath or blood test (only where the refusal charge will be a civil charge for blood testing) can be charged as a separate offense and mandatory loss of driving privileges if so convicted. However, submitting to such testing only makes the prosecutor’s job easier for obtaining a conviction if one has been consuming alcohol or if one has drugs in his or her system. Virginia DUI lawyer Jon Katz obtains the forensic data in the case, obtains a blood transfer order to a private lab in blood draw Virginia DUI cases, and obtains a discovery order, all for pursuing the best defense in the client’s case. Repeatedly over the years, Virginia DUI lawyer Jon Katz has worked with forensic toxicology experts to challenge the accuracy of breath and blood alcohol testing, advancing his forensic knowledge in DUI cases even when such an expert is not hired. For charges of drugged driving, it is important to know that mere presence of drugs in one’s blood does not automatically mean that said drugs impaired one’s driving. For instance, marijuana from smoking today can stay in one’s bloodstream for weeks. A key point to remember is that all DUI and other criminal defendants are presumed innocent under the law unless and until proven guilty beyond a reasonable doubt. This means that breath and blood testing results are not sacrosanct, and can be attacked. This means that the question in such cases does not begin and end with asking the result of a breath or blood test, but to challenge the results of such testing, and to acknowledge (usually needing the testimony of an appropriate expert witness) that blood alcohol levels can be rising, falling, or staying somewhat in a holding pattern between the time a police officer stops a driver and has the driver submit to breath or blood testing for alcohol. In 1933, alcohol prohibition was repealed in the United States, only to be replaced with the draconian prohibition of the DUI laws. A full court press is essential for this and all criminal defense. Virginia DUI lawyer/ Fairfax criminal attorney Jon Katz has successfully defended thousands of DUI and criminal defendants since 1991. To discuss your case with Jon in confidence, please call his staff at (703) 383-1100.